Fiji is on the verge of signing a Memorandum of Understanding (MoU) with the Chinese Government within the framework of the Asian power’s Belt and Road Initiative (BRI). This has been confirmed by a senior Fijian Government official who has requested anonymity. It is understood that negotiations are still going on between the two sides with an invitation by China envisaged for a Fijian team to go to discuss the MoU. The official said a Fiji BRI working committee had been established and was headed by the Foreign Affairs Ministry. The Chinese Embassy in Fiji has confirmed it is keeping in close touch with the Fijian Government for the facilitation of signing the MoU. “This future MoU signing will further promote bilateral practical co-operation, form synergies between the two economies, enhance policy co-ordination and deepen mutual beneficial and practical co-operation,” the Chinese Embassy added. Since the launching of the Belt and Road Initiative, it has received warm responses and support from the international community. More than 100 countries and international organisations have joined this initiative and 86 countries have signed the MoU. Lan Jianxue, an associate professor of Department of Countries Studies at China Institute International Studies, says for the South Pacific there is a route starting from the eastern coastal part of China coming through Australia and expanding to the South Pacific island countries. He said small island countries such as Fiji played a critical role in the international organisation. 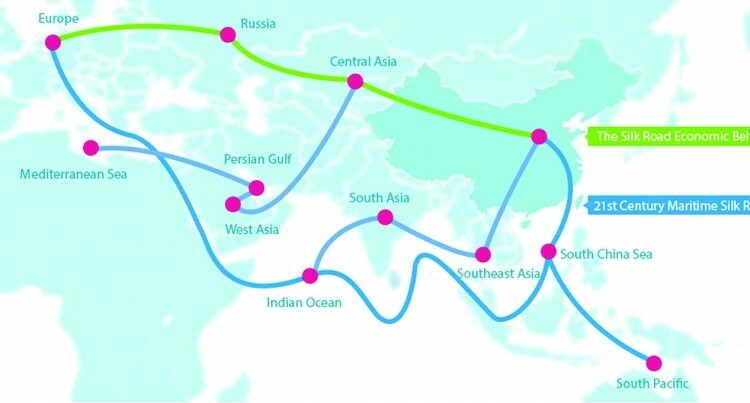 The Belt and Road Initiative refers to the Silk Road Economic Belt and 21st-Century Maritime Silk Road, which were put forward by President Xi Jinping in the autumn of 2013. The former is a gigantic economic belt across Asia, Africa and Europe that stretches over 7000 km and encompasses three billion people. The latter is an important maritime passage connecting China’s coast with Europe through the South China Sea and from China’s coast through the South China Sea to the South Pacific. The BRI carries the spirit of the ancient Silk Road featuring peace and co-operation, openness and inclusiveness, mutual learning and mutual benefit, and adheres to the principles of extensive consultation, joint contribution and shared benefits. The spirit of BRI is not about countering your opponent or eradicating it; the subtlety of BRI lies in the Chinese philosophy of “going with the flow” and “swimming with the current”.